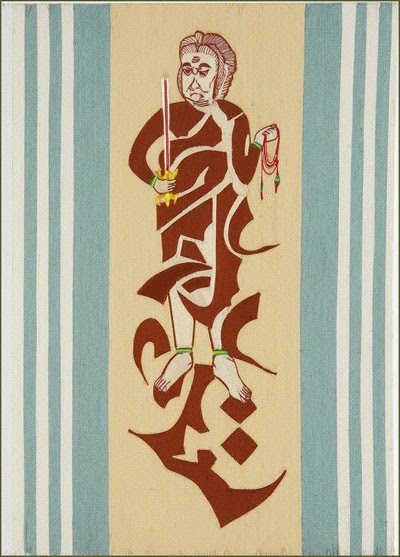 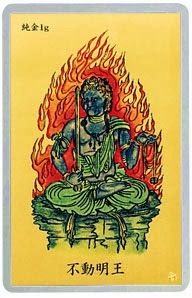 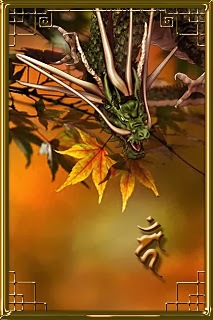 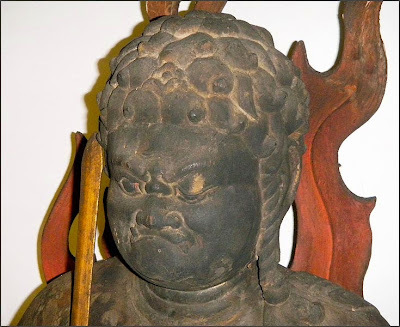 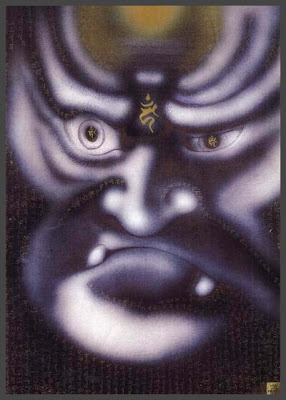 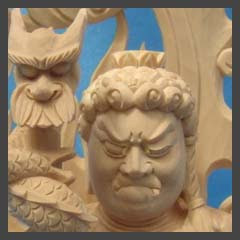 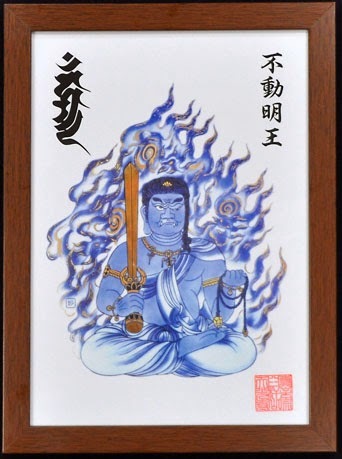 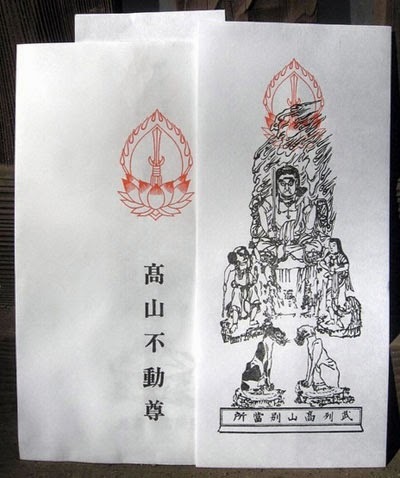 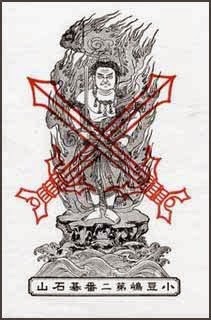 7 The wrinkles on his forehead look like water waves.
. 19 Characteristic Signs of Fudo Myo-O . 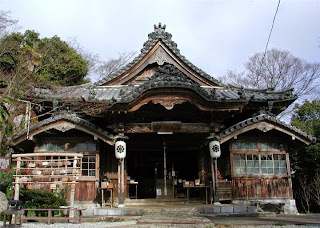 Revered by Ogasawara Sadayoshi 小笠原貞慶 (1546 - 1595).
. Shoobooji 正法寺 Shobo-Ji .
. Gabi Greve, Haiku 2007 . 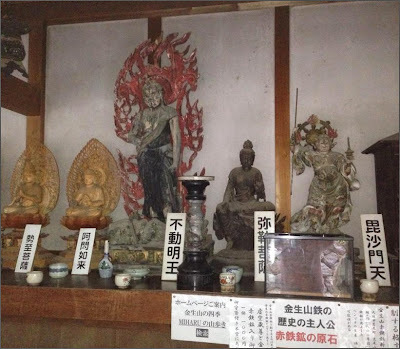 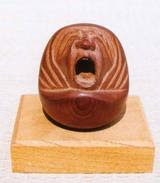 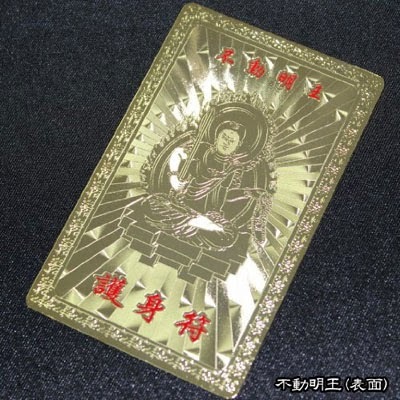 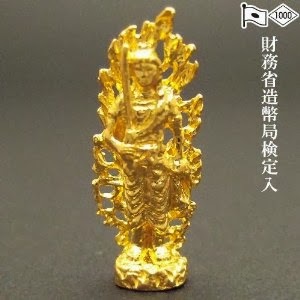 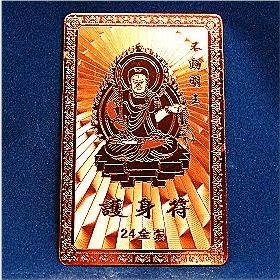 Amulets that carry the power of Fudo Myo-O. 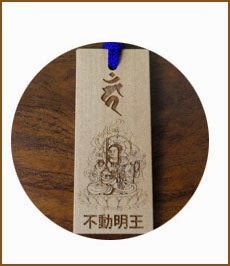 Sold at temples dedicated to this deity.
. Shinsatsu 神札 , Mamorifuda 守り札 .
. Tenkooji 天光寺 Tenko-ji - 臼杵山 天光寺 .
. Pendants with KAAN 梵字ペンダント .
. Namikiri Fudo Talisman .